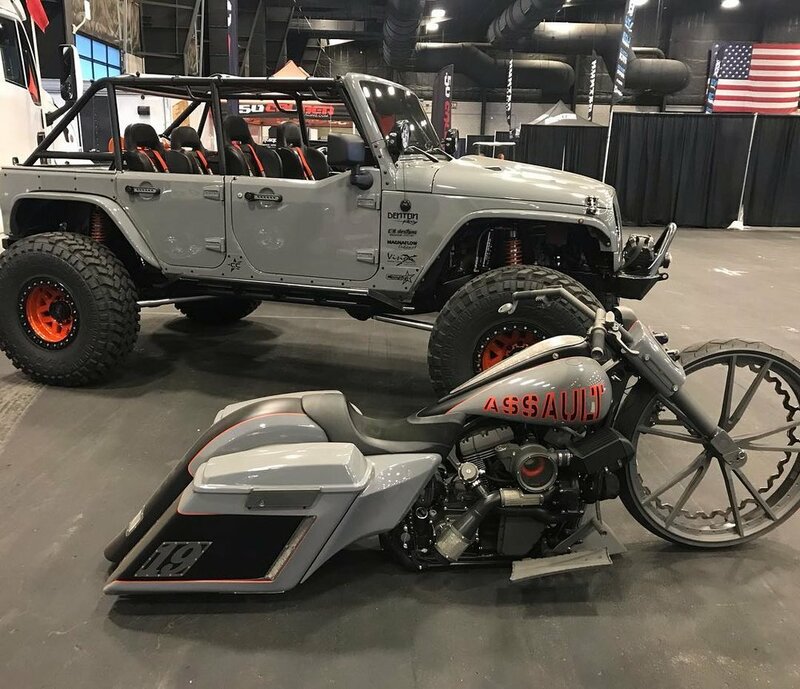 The Nardo Grey four door Jeep came to us locally from a close friend and partner who does custom painting for us on our builds. The chassis was already completed by another shop and had the engine and transmission mounted. We mounted the body and finished the plumbing and topped off the engine with a Holley Performance Intake and Magnaflow exhaust. 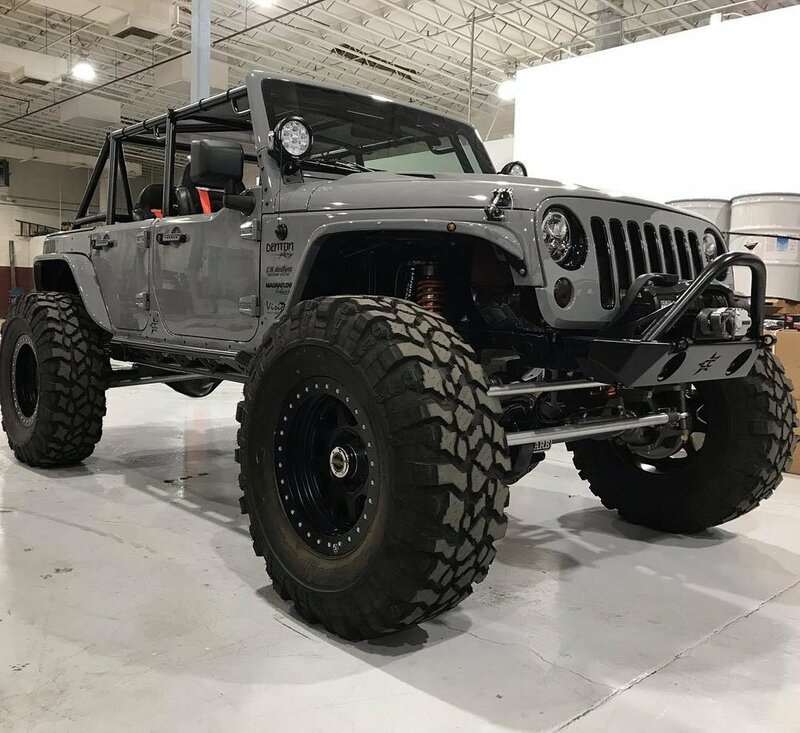 This jeep also received our Ron Davis cooling package with our ls engine oil cooler and remote mounted trans cooler. We installed an entire brake system plumbed out of stainless steel to prevent corrosion. 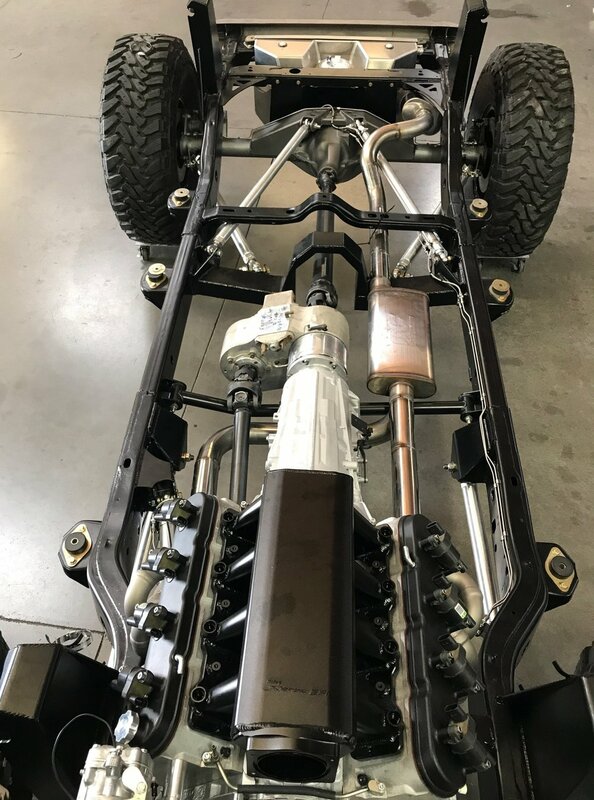 Since this Jeep had no factory plumbing, wiring or interior we installed a standalone harness to run the engine and trans. We used an AIM sports Dash to monitor all the vitals on the jeep and also display speed. 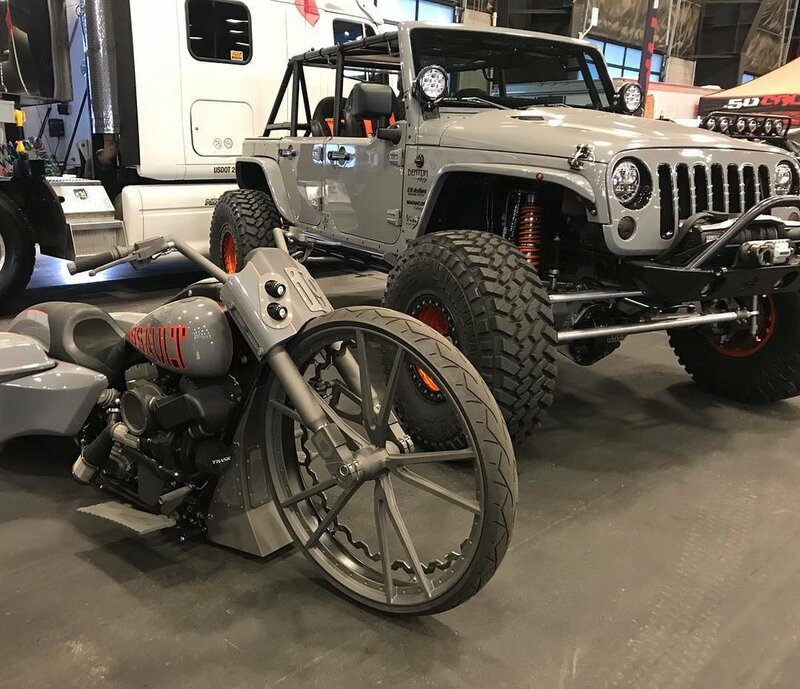 The only thing really left on this Jeep was the frame and Jeep tub, everything else was built or wired from scratch on it. The engine bay being cleaned out actually makes a lot of room to mount the accessories very clean and organized.